MANNY Pacquiao’s plans to come out of retirement have been taking shape after promoter Bob Arum claimed he had drawn up a shortlist of potential opponents for the Filipino bruiser. 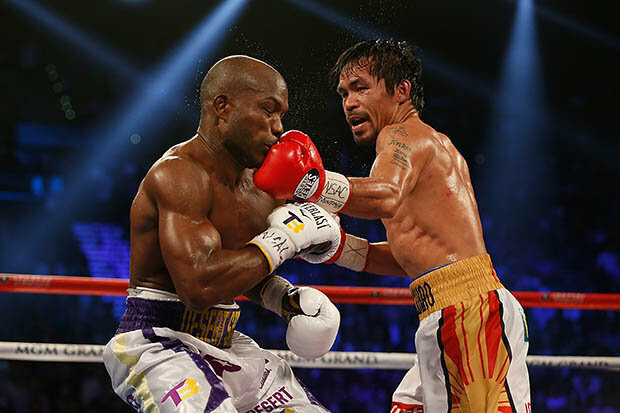 Pacquiao, who turns 38 in December, announced his retirement from the sport following a dominant victory over Timothy Bradley in April but the 58-6-2 fighter now looks set for one more bout. Arum, Pacquiao’s long-time promoter and friend, said Pac-Man had instructed him to seek out potential opponents for a high-profile Autumn showdown.The three-man shortlist for possible foes reportedly includes Danny Garcia, Jessie Vargas and the winner of the unification fight between Terence Crawford and Viktor Postol this weekend (July 23). 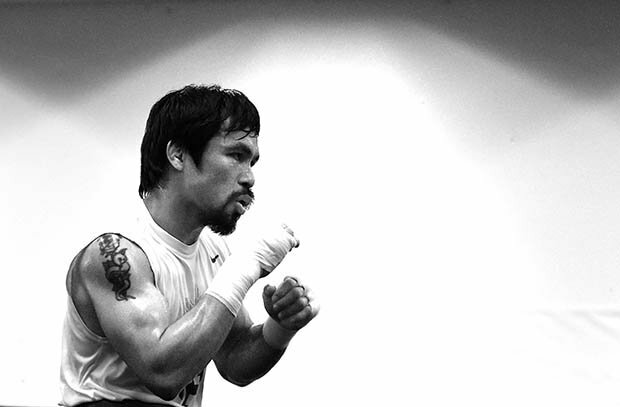 Known for his once-in-a-generation combination of hand speed, punching power and nimble footwork, Pacquiao has earned a stoppage in 65% of his fights – no mean feat during a lengthy 66-fight, 11-year career. Pacquiao’s lengthy association with Bob Arum’s Top Rank Promotions began in 2006, shortly before the dramatic conclusion to his trilogy of battles against Mexican rival Erik Morales.More than 18,000 fans in Las Vegas were treated to the spectacular sight of Manny in full-flight, as he knocked Morales down two times on his way to a magnificent third-round knockout. Pac retained his WBC international super featherweight title six months later with another dominant victory, knocking out Jorge Solis in the eighth round. 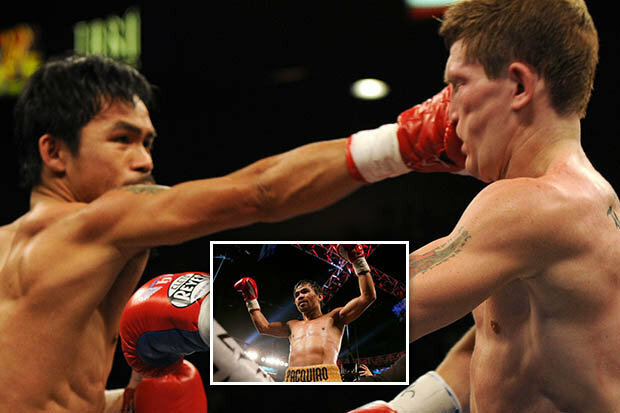 But it was during Pacquiao’s fight with Brit Ricky Hatton in 2009 that the southpaw earned his most impressive stoppage.He sent the English brawler flying to the canvass twice in the first round before putting him out of his misery with a crushing left hook to the jaw that put Hatton to sleep in round two. Hatton said the knockout was so bad, he didn’t even recognise world famous celebrities Brad Pitt and Angelina Jolie after the bout. “I didn’t even notice them. How hard must I have been hit to ignore Angelina Jolie,” he joked.According to Arum, Pacquiao’s comeback fight is set November 5 at the Thomas & Mack Center in Las Vegas, after an October return was ruled out because it conflicted with Pacquiao’s senatorial obligations in the Phillipines – a position he has held since being elected in 2010. In a statement, Pacquiao said: “There is no truth to media reports that I’m planning to take a leave from my senate duties just to fight again atop the ring. I want to make it clear – my priority is my legislative works. “Boxing is my only means of livelihood to support my family and to help those who are in need.”Politics, to me, is a vocation not a means to eke out a living.